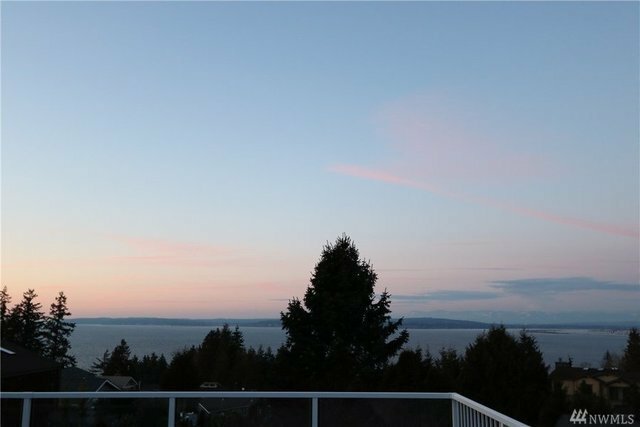 With panoramic views from the Olympic Peninsula, the San Juans, and Mt Baker, this open concept home is perfect for entertaining! The chef's kitchen has plenty of granite counters, stainless appliances, an expansive dining area, all next to a retreat featuring nano doors that open onto a 1,000 sq ft private deck. It has 2 master suites, a large office, BIG workspace with exterior access, large game room, media room, a oversize three car garage, a greenhouse, and is located in the Mukilteo SD.